Once you live in Mexico awhile, playing your old music can seem just.... wrong. Listening to my standard fare of alternative rock only provoked unwelcome nostalgia. I needed a new soundtrack for my new life, one that was in Spanish. Music has remained very important to me. When you're single and often have no one to play off of, nothing can change your mood so instantaneously. Like Spotify says in it’s ad, music can tame the beast in you…or unleash it. It's my date many a night. In coming up with a new playlist for my expat life, I had a little problem. Between you, me and my friends who speak only English, I hated regional Mexican music, which is characterized by mariachi, banda music and ranchera. Surprisingly, Mexican music has an awful lot of German polka influence. I'm not a big accordion fan. My second problem, and this is a pretty big one when you live in Mexico, was that I had the type of aversion to music in another language that only a redneck from Oklahoma (me...kinda) can have. Clearly this aversion would have to be addressed. The first thing I learned about breaking into new music from my forays in to hip hop and rap was not to expect to much from my ears too soon. I found that by starting with music that has characteristics that I already like, I could build on them into liking new sounds, in this case the sound of a new language. Learning new sounds is important because artists don’t general create fresh new old sounds. To get started with hip hop I listened to duets, rap's testosterone-heavy male vocals countered by soft female voices. The best example of all time is the Roots and Erykah Badu, "You Got Me." If you're trying to get used to music in another language, try to listen to it as background music first. Little by little, the songs will soak in. It can help you learn Spanish too. The first Latin American singer whose music I fell in love with was Gustavo Cerati and his songs “Paseo Inmoral,” and “Lago del Cielo. I was heartbroken to hear Cerati had passed away in 2011. His band Soda Stereo is still very popular in Latin American. If you like his smokiness, you really should listen to his recent "Deja Que Te Bese," that he does with Marc Anthony. If it's the Shakira side of the "La Tortura" equation that you like, try "La Bicicleta" with Carlos Vivas. In scouring playlists for music, another key obstacle is sometimes Latin America’s apparently insatiable appetite for romantic lyrics. In fact, it’s difficult to find songs in Spanish that aren’t about love. My male Spanish friends complain about it, but since I’m just looking for a date…. A lot more Latin music is making its way into the States as typified by songs from Ricky Martin and Gente Zona, "La Gozadera," and "Bailando," the latter of which I defy you to get out of your head once you've heard it. My first favorite of Spanish-language singers was Miguel Bosé, a love that started with his hit "Encanto" that would have the perfect opening for the Game of Thrones series. The song is non-translatable - no one in Mexico or Spain can even tell me what the refrain's “intimo encanto” means. That song, part of his 2014 album “Amo” made me fall in love with a “new” artist’s music like I hadn’t been in a decade. It's "Solo Si," is a tearjerker whether you understand the words or not. The way it's sung, you don't need the words (or maybe one, "solo") to start bawling. My friends in Spain tried to ruin my discovery of Miguel Bosé by sending me videos of him in his twenties, a beautiful young man, dancing around the stage with streamers singing party songs. They seem genuinely upset that he's older now. Since Bosé was the most popular 20 years ears ago, many from his base feel betrayed by the fact that he lives with a man now. I'm glad I don't carry that baggage because his more recent songs are clearly better, and they can't see that. Another hit from his duet phase was “Aire Soy, “ (I’m the Air) with Ximena Sariñanais, (think Alicia Keys), is a sweet, beautiful duet that was another a hit in Spain, along with another plaintive song, "Corre" by Jesse & Joy. These are just a starter list of the obvious songs that everyone in Latin America loves and a good place to start if you're new to songs in Spanish. Next up: It doesn't matter how we die, which is with a whimper. Most recent: Eating out can move from weekly to nightly if you want in Mexico, you can afford to again. Hi, I'm Kerry Baker and a partner with Ventanas Mexico which provides insight and resources for those considering expat life in Mexico. 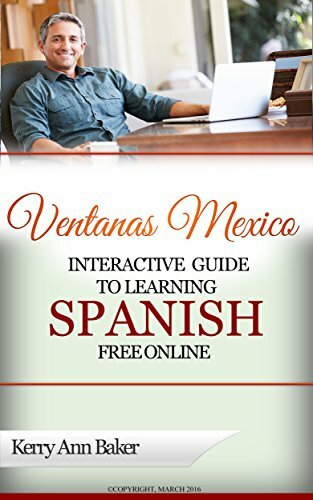 I wrote the "Interactive Guide to Learning Spanish Free Online," a curation of the best Spanish language tools on the web. Are you planning a move in a few years? It takes time to become conversant. Get started today and improve your brain while preparing for expat life. 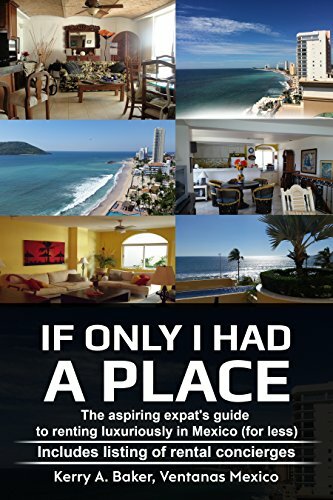 Recently released is "If Only I Had a Place,"is on how to rent luxuriously in Mexico for less. More than a how-to, this books gives you the cultural advantages and disadvantages you have as a expat, and a listing of local rental concierges to preview your place at t distance.